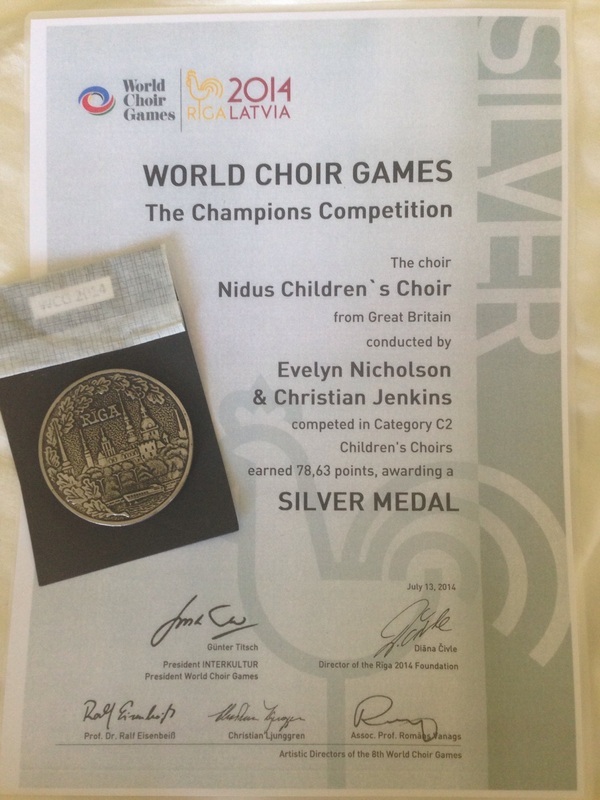 After 6 years of planning in 2014, Nidus Children's Choir successfully took part in the World Choir Games in Riga Latvia. The choir competed in the Champion's competition - Children's Choir Category and were awarded 78.63 marks, meaning they received a silver medal. Everyone connected with the choir was extremely proud of the work and effort the children put in - both in their preparation for the competition, and during their time in Riga. 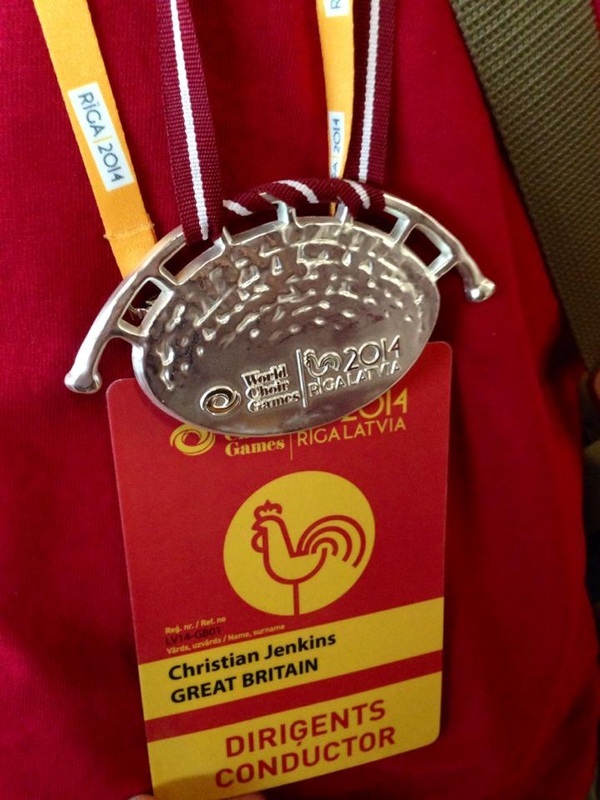 Click here to see some photos of our time in Latvia. 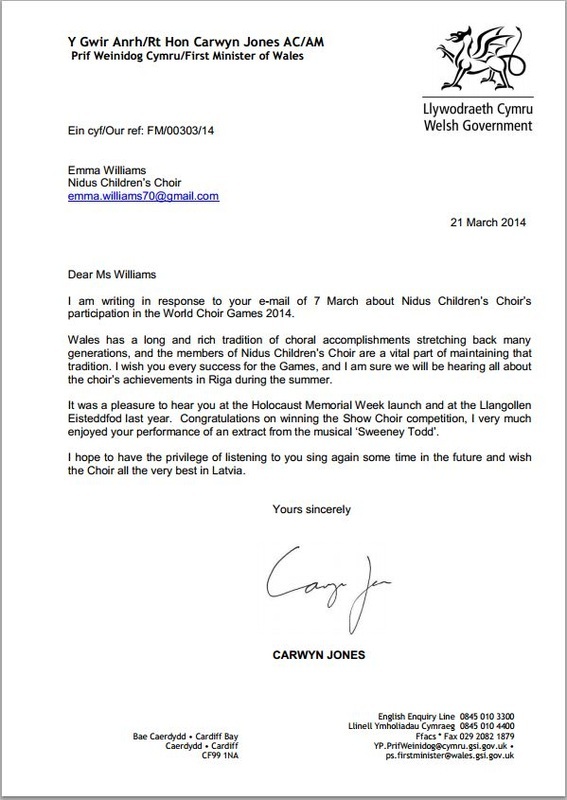 A letter from Carwyn Jones, First Minister of Wales, wishing us well in Latvia!